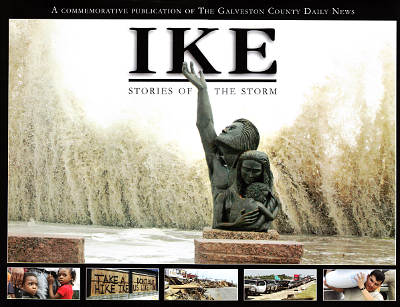 Description: Pictures and stories about the experience of Hurricane Ike, assembled by the staff of the Galveston County Daily News. A copy of "Ike: One Year Later" magazine supplement is now included with this book. Viewed: 2,815 times since March 15, 2012.